The farm consists of 5 two-room and 8 three-room apartments that are comfortable and well ventilated, with some apartments having air conditioning systems. 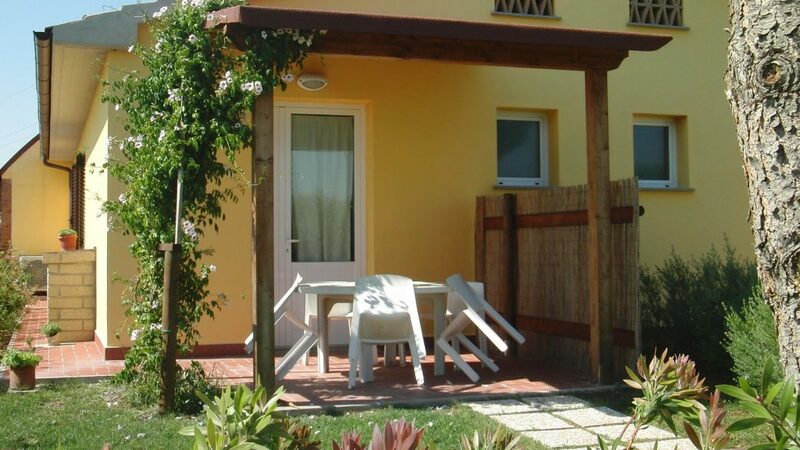 All apartments have a garden and have been designed to offer guests a relaxing stay. The apartments are located on the ground floor and have access to a porch that offers the possibility to eat in the open air during the summer. The apartments are very spacious, cool and ventilated. At your disposal there is a swimming pool 16 x 8 meters and plenty of open spaces for outdoor activities. The farm grows its own cereal, tomatoes, vegetables and fruit, and offers guests the opportunity to purchase seasonal vegetables freshly picked. The setting is ideal! We are in the open countryside, 2 km from the sea, close to the medieval villages of Bolgheri and Castagneto Carducci, as well as the Wine Road of the Etruscan Coast. The cities famous for art, like Volterra, Pisa, Siena and Florence, can be reached by car in no time. It will be our pleasure to offer you our hospitality to spend your family vacation in contact with nature.